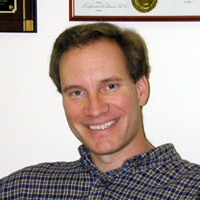 Dr. Michael Griffin's research interests lie in the interconnection between psychology and biology (psychobiology), in particular, the connection between psychological events and biological alterations. His specific research interests are primarily in the area of posttraumatic stress disorder (PTSD) and the biological alterations associated with this disorder. He is also interested in studying psychophysiological and psychoendocrine changes that occur following exposure to highly traumatic events like sexual and physical assault.